Samsung India today announced that it has partnered with Indus App Bazaar to discover and access their favourite mobile applications in 12 Indian languages. The announcement comes at a time when the industry is witnessing exponential increase in app downloads from smaller towns and cities across India as stated by the company in its press statement. Samsung’s latest ‘Make for India’ offering will help millions of Indians navigate through an exhaustive catalogue of apps on the Galaxy Apps Store, in their vernacular language. Galaxy Apps Store is available in English and Malayalam, Telugu, Tamil, Odia, Assamese, Punjabi, Kannada, Gujarati, Hindi, Urdu, Bengali and Marathi as further stated by the company.Galaxy Apps Store enable users to download a host of free applications, without having to sign in, making the experience seamless and hassle-free. 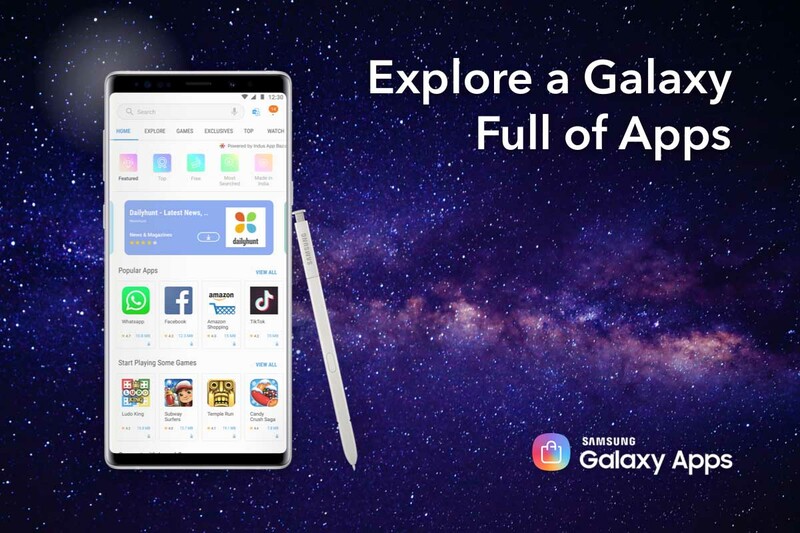 According to Samsung, Galaxy Apps Store provides a strong personalized recommendation engine delivering users the option to download the apps that would best serve their needs. Galaxy Apps will have special sections for highlighting all Indian innovations to Samsung smartphone users, which is in line with the Government of India’s ‘Startup India’ initiative.